The Anchorage Chamber of Commerce Legislative Committee Legislative Fly-In takes place on Tuesday, February 19 and Wednesday, February 20, 2019. 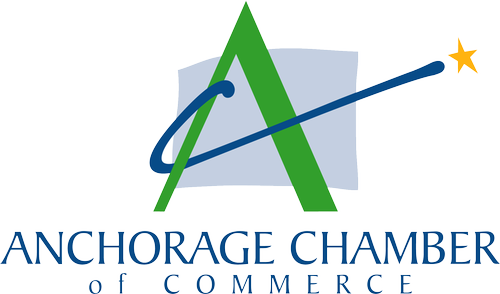 Anchorage Chamber President, Bruce Bustamante, accompanied by several Board members and Legislative Committee members will meet with State and House legislators to discuss the 2019 Anchorage Chamber of Commerce's Legislative Priorities. In this time of unprecedented change and uncertainty in our economy, the Anchorage Chamber of Commerce urges lawmakers and policymakers to stay focused on the fiscal issues. Develop and implement a sustainable fiscal plan: The Anchorage Chamber of Commerce strongly encourages the governor and the legislature to take immediate action to implement a sustainable, long-term solution to address Alaska’s fiscal challenges. Reduce the budget: The Anchorage Chamber of Commerce members highly support a significant reduction in the state budget. Consider new, broad-based, sustainable revenue sources: The Anchorage Chamber of Commerce members support a statewide sales tax, the creation of a statewide lottery and some use of the Permanent Fund earnings. Provide funding for Alaska’s most strategic port: The Port of Anchorage, Alaska largest port, annually handles 3.5 million tons of goods bound for over 200 communities across our state. It’s Alaska’s economic heart, where more than 85% of the cargo ends up in the homes of Alaskans, and half of the cargo is bound for destinations outside of Anchorage. The structural integrity of the 55-year old port is significantly compromised and well beyond its expected life. Funding is urgently needed to shore up this critical statewide infrastructure to ensure continued everyday service for all Alaskans – as well as service in the aftermath of a major seismic event.